There are many parallel worlds. When she was a baby, Elizabeth was taken from her home dimension by her infertile alternate-universe father, Comstock. In the process, the tip of her pinky finger was severed and left behind. Having part of herself in two worlds gives Elizabeth the ability to open portals to any dimension and probably control probability (?). Meanwhile, Comstock raises her as his imprisoned, power-suppressed daughter and plans to raise her to cleanse the world of sin through war. 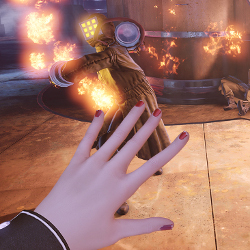 The events of Infinite begin when Booker (the game’s protagonist, her actual father and a version of Comstock) comes to rescue her. At the end of Infinite, Elizabeth kills every remaining version of Comstock in the past, before he has a chance to become a monster. At the end of Burial Episode 1 she kills one remaining Comstock, who escaped the purge by either being outside his home dimension or by being from a dimension where Elizabeth was already dead. Comstock is hiding from his past in Rapture, the undersea location of the first two Bioshock games, in a time period before they occurred. In the process of murdering him she uses a genespliced little girl Sally as bait, causing Sally’s death. Elizabeth feels super bad about this. In Burial 2, Elizabeth contacts the Lutece twins, two versions of a scientist that got unstuck from reality and became the Hermes to her Athena. She asks them to take her back to Rapture to retroactively save Sally, which will strip her of her powers because it turns out she got killed in that dimension at the end of Episode 1 despite basically being omnipotent. 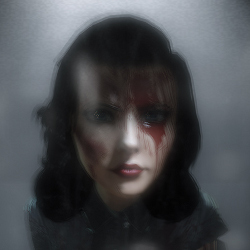 Fontaine, the villain of the original Bioshock, tortures her and forces her to recover the trigger phrase to the Bioshock protagonist’s brainwashing. To save Sally, she gives him the phrase, and he kills her. She dies content because she knows she played a minor role in getting Bio-Bro to eventually kill Fontaine and free Sally and the other genespliced little girls. Bioshock is a series obsessed with its own roots. The “shock” in its title comes from the title of System Shock, a cyberpunk game series from Looking Glass Studios that created the “immersive simulation” form where the player explains a world with interacting systems and environmental storytelling. Bioshock‘s audio diaries come from the more genre-appropriate sci-fi logs from System Shock. Hacking vending machines, mixing guns with weird powers, and getting quests from radio voices pretending to be someone else all come from System Shock 2. Bioshock is derivative, but it’s good at it. The interacting systems you can orchestrate to your purposes are better than anything in the System Shock or Deus Ex series. It’s one of the few series that lets you come up with plans to trick your enemies and reliably execute them. Infinite gets a bit oversimplified and loses some of that detail, but all the games are very well-crafted when it comes to the execution of their rules. Burial 2 departs from the other games in its choice of protagonist. The player characters in the other games are studly dudebros: strapping gents who carry a bunch of ammunition, wield huge guns, and in a couple cases literally look like this. Elizabeth is a small-framed woman who never shows physical prowess; her strength comes from her cleverness and her strange abilities. While I would love to play as a dimension-hopping Elizabeth, the developers apparently felt that was impractical. They strip her of those powers through Weird Plot Stuff, but then need some way to make her a practical player character in the Bioshock world. The game does this by borrowing from another old Looking Glass series: Thief. While a new Thief game came out a mere month before Burial 2, the latter is a truer successor to the earlier games. Thief is about an agile but relatively-frail burglar who accomplishes his goals through stealth and non-combat tools rather than direct confrontation. It may be the origin of Bioshock‘s requirements for environmental awareness. Just as Bioshock asks you to pay attention to wet floors or oil patches for combat options, Thief requires you to watch for floors that are better or worse for hiding the noise of your footfalls. Thief‘s diverse trick arrows may even be the inspiration for the special crossbow bolts in the Bioshock series. This connection is overt: Burial 2‘s “1998 Mode” is a direct reference to those games. So Elizabeth in Burial 2 is a stealthy protagonist. While she can use a few conventional weapons, they have more limited ammunition than when they are used by Booker. Her primary weapon is the crossbow, which has recoverable ammunition. Likewise, her options for plasmids/tonics, the game’s magic powers, are limited to more defensive ones: ice to freeze enemies in their tracks, possession to use enemies as allies, invisibility to scout and avoid conflict, and an ammo-absorbing shield. Often, she can leap into the rafters of a room like Batman from the Arkham series to escape notice and survey the area. Playable Elizabeth feels clever and tricky but very weak. A formerly divine character is turned into one that must run from direct confrontation. 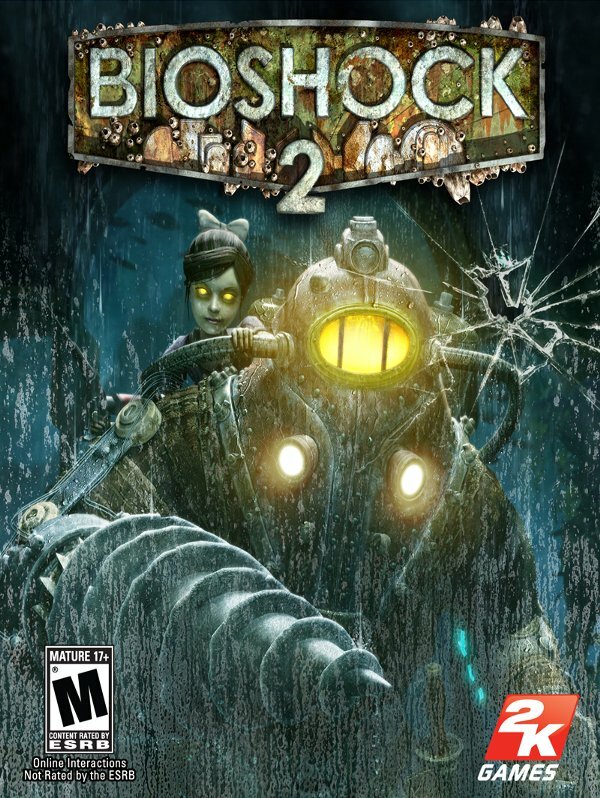 The play experience is most similar to Bioshock 2‘s: while Elizabeth is far weaker than Delta, both games require you to explore and understand your environment before using it tactically to your advantage. Bioshock 2 does this through the trap-focused ADAM-collection segments, while Burial 2 requires planning just to safely navigate a space. It has particular similarity to Minerva’s Den, the DLC for Bioshock 2, which highlights non-combat uses for plasmids that let you get access to new spaces. The game design is a faithful and well-executed homage to the Thief series, but the story is where Bioshock‘s obsession with the past becomes self-defeating. All of the games focus on exploring the past through environmental storytelling, but Burial 2 is the only one where the past you’re exploring belongs to another game. You’re not learning about Elizabeth’s history in this game. You’re learning more of the backstory to the original Bioshock. Tying Elizabeth’s story into Bioshock 1‘s is wholly unnecessary. There were no unexplained actors in Bioshock, no important mysteries. Burial 2 essentially admits that it considers Bioshock the superior game, and twists the story of Infinite to make it subservient to that game’s. Elizabeth isn’t important because of her own agency and power, Burial 2 says: she’s important because she enables the events of Bioshock 1. In another parallel world, Bioshock Infinite: Burial at Sea Episode 2 is a well-crafted stealth-focused game about a planeshifting deity descending below the waves to provide justice before returning to a well-earned heaven. Instead, in our world, it’s a well-crafted stealth game that enervates a deity in order to deify a past work, in turn making the original Bioshock less a victory over authority and more the completion of preordained destiny. Please share your feelings about Burial 2 and what it meant for Elizabeth and the series in the comments. If you want to support writing like this, please become a patron.